Look no further for a quality keyboard that offers great value and features you need with the Microsoft Surface Wireless Ergonomic Keyboard. You can enjoy the freedom and convenience of wireless technology. This wireless keyboard is an outstanding typing peripheral for your needs no matter what computing lifestyle you have. It ensures a cable clutter-free working environment. It features Calculator, volume, search and much more hot function keys for added convenience. 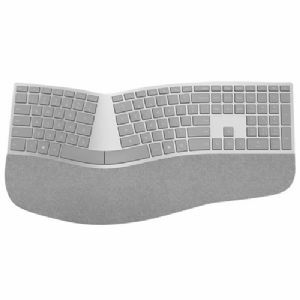 Buy the Microsoft Surface Wireless Ergonomic Keyboard at the earliest!